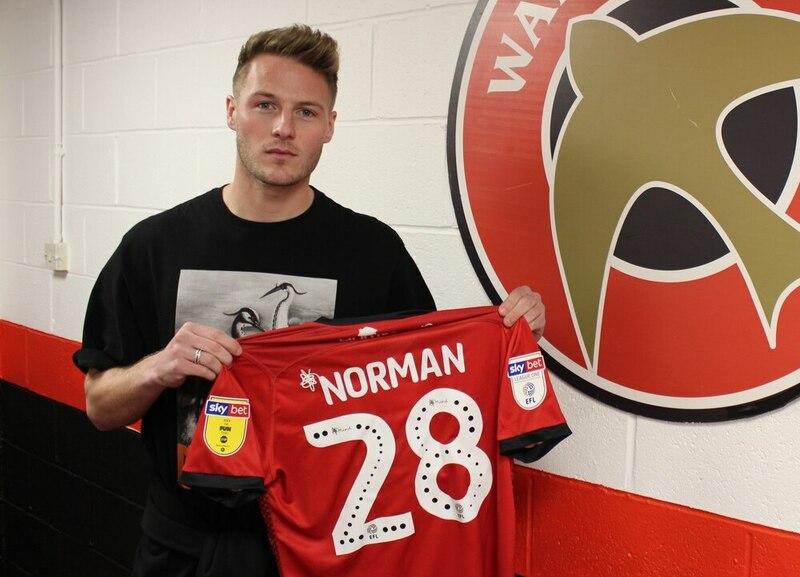 New recruit Cameron Norman, who recently joined the Saddlers on a two-and-a-half-year deal from Oxford United, has spoken to the local press and insisted that the opportunity to join the Saddlers was simply too good to turn down. Cameron, who has already made two first-team appearances in a Saddlers shirt, admitted that he jumped at the chance to join the club after speaking to manager Dean Keates, and hopes he can help the club return to winning ways when they return to action next month. Speaking via the Express & Star, he said; "I spoke to the manager and he had nothing but positive things to say, so I jumped at the opportunity. I really enjoyed my debut on Saturday, and on Tuesday night it was disappointing to come away with nothing. "I think we deserved something from the game, but it was just those silly mistakes. Hopefully, we can get a positive result back at home." Norman then went on to look back at Tuesday evening's disappointing defeat to Plymouth Argyle, admitting that the Saddlers started the game well but, despite limiting the Pilgrims to a handful of chances, were poor during the second forty-five, giving them plenty to work on in training this week. Cameron continued; "I think we started the game quite well. We felt like we were in the game, playing the conditions. We struggled in the second half, with individual things. To concede from two set pieces is really disappointing. Even conceding those goals, we felt like we were still in the game. "Cooky got his goal and we were trying to push on for the second but, in the end, it wasn't to be. We felt we limited them to very few chances. Our goalie didn't have too many saves to make and we made a few good clearances, so it's really gutting to concede from two set pieces."